OTTAWA, June 11, 2014 /CNW/ - The Canadian Shipowners Association (CSA) is pleased to announce that it has developed joint principles with the Lake Carriers' Association (LCA) for ballast water regulations on the shared waters of the Great Lakes and St. Lawrence River, Gulf of St. Lawrence, Canadian Eastern and Arctic waters to the limit of the Canadian exclusive economic zone (Operating Area). The five principles symbolize the common will of these two associations, which represent the majority of Canadian and American flag domestic vessels on these waters, for fair, equivalent and flexible ballast water regulation on both sides of the border. Single Ballast Water Rule for all Canadian and US flag domestic vessels in the Operating Area (Domestic Vessels). There are a multitude of jurisdictions that exercise authority over the bi-national waterway within the Operating Area. Domestic Vessels should operate under a uniform single standard or compatible set of national rules that are fair and rationally based, that result in requirements that are technically and operationally achievable, considering vessel age, type, and operating characteristics, and are economically feasible resulting in a positive benefit to cost ratio. Since treatment systems do not currently exist and are not expected to exist in the near future, Domestic Vessels operating exclusively within the Operating Area should continue implementing Best Management Practices as they have since 1993, and not be required to install ballast water treatment systems. Any Rule must recognize the unique operating requirements and diversity of environmental conditions faced by Domestic Vessels. The IMO rule should not be the basis for governing a ballast water treatment rule for Domestic Vessels. The IMO rule does not recognize the unique operating requirements and diversity of environmental conditions faced by Domestic Vessels within the Operating Area. The cost of compliance given these challenges and constraints could impose substantial economic harm. Furthermore the IMO rule does not recognize the difference between the risk of AIS transfer versus the risk of AIS introduction by foreign vessels. The U.S. Coast Guard's Alternative Management System cannot be endorsed as a solution for Domestic Vessels. The AMS program was only intended to be as protective as salt-water exchange/flushing for Foreign flag vessels and therefore must not be viewed as an endorsement of any foreign type-approved ballast water treatment system for use by Domestic Vessels. 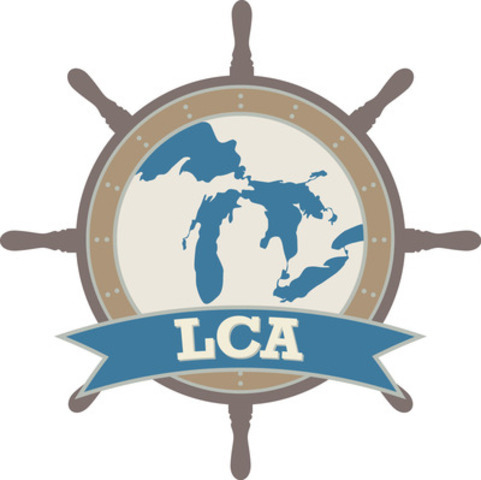 LCA and CSA Members have a common interest to advocate for a single rule in the Operating Area to Governments and Regulators. LCA and CSA Members agree to jointly and severally advocate for Canadian Ballast Water regulations for Domestic Vessels that incorporate the principles espoused herein and advocate for recognition of such Canadian regulations by the U.S. Coast Guard and Environmental Protection Agency. LCA and CSA Members have a common interest to promote ballast water research and technological evaluation aimed at the unique requirements of Domestic Vessels operating in a unique environment. Participation in shared research and evaluation is a priority of both the LCA and CSA. These efforts shall be aimed at determining the potential risk of AIS transfer from the ballasting operations of Domestic Vessels within the operating area and to assess ballast water treatment technologies for the development of best management practices and to assess the feasibility of such technologies for domestic vessels. The CSA membership operates Canadian-flagged and uniquely designed ships on Canadian coastal, Arctic and inland waters, with highly skilled Canadian crew and is part of a $35B continental marine transportation system. Recent investments of over $700 million in 14 new vessels, have positioned the industry for growth. Marine transportation is the most sustainable form of transportation.